The best cat toothpaste has a cat-friendly meat flavor, contains enzymes to consume bacteria, and is free from ingredients that could hurt your cat. 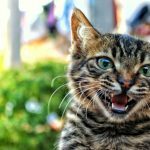 To write this article, I’ve researched the ingredients commonly found in cat toothpaste, identified which ones hurt and which ones help, and picked out the top four cat toothpaste products that appear to work the best. 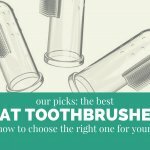 First, let’s talk about why you should be brushing your cat’s teeth and go over the different types of toothpaste on the market. We’ve been taught from an early age that brushing our own teeth is essential. Yet, in an example of bizarre human cognitive dissonance, people have for years felt that cats don’t need the same treatment. 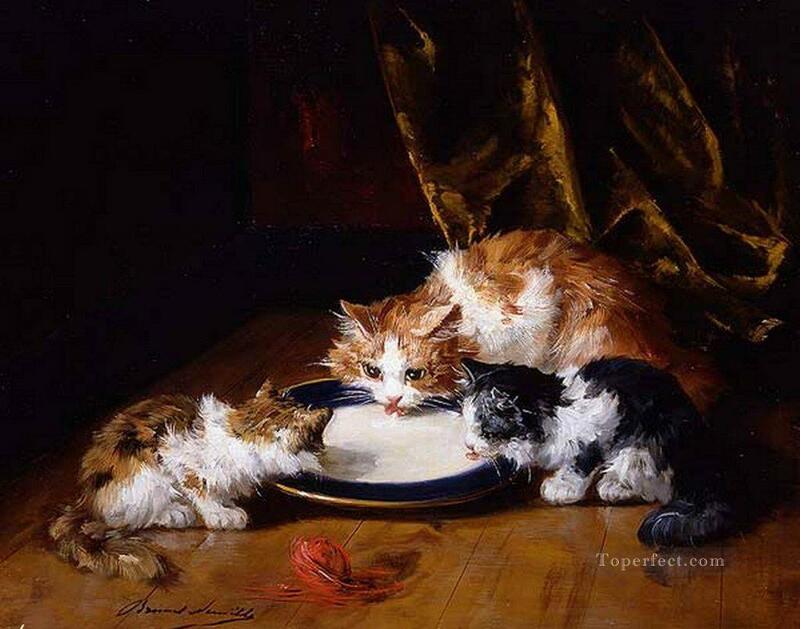 It’s not that we just didn’t care about our cats’ dental health. That would explain the negligence that’s lead to an epidemic of feline periodontal disease. But we do care, and we have always cared. But instead of doing something logical like cleaning our cat’s teeth, we’ve opted for nonsensical alternatives like crunchy kibble or Greenies treats. The only way to keep your cat’s teeth clean and healthy is to feed raw meaty bones, brush your cat’s teeth regularly, and to get their teeth professionally cleaned. 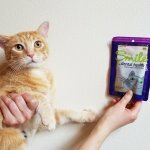 Now that more people are finally waking up to the reality that brushing their cats’ teeth is an important part of daily hygiene, we need good resources that educate us on the products available. I’ve searched the internet for a comprehensive article about cat toothpaste. One that analyzes the different brands on the market, investigates the ingredients, determines whether or not they’re truly safe, and recommends some of the most effective products on the market. And perhaps like you, I haven’t found a single high-quality resource for people who want to find the best cat toothpaste available. 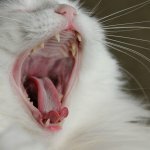 To encourage more people to start brushing their cats’ teeth, I’ve created this page as a resource to help you understand cat toothpaste in more detail and make intelligent decisions about what you use to clean your cat’s teeth. The most effective type of cat toothpaste is an enzymatic cleaner. Because cats tend to struggle a bit while their teeth are brushed, it can be difficult to do a complete brushing. An enzymatic cleaner does part of the job for you. The enzymes actively consume bacteria in the mouth, removing what you couldn’t get off with a toothbrush. There are also a few cat toothpaste alternatives. 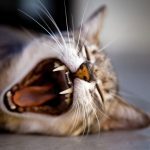 Homemade Cat Toothpaste – can you make your own cat toothpaste? Remember that the abrasive action of the toothbrush is enough to scrub off some of the plaque and food residues, so it’s fine to wet the toothbrush with water and go. You don’t always need to use a specially-formulated toothpaste to have a positive impact on your cat’s dental health. In our article on cleaning your cat’s teeth naturally, we discuss using coconut oil as a natural alternative to commercially-sold cat toothpaste. Because coconut oil is about 50% lauric acid, it has natural antibacterial properties and can help to keep your cat’s teeth relatively clean. And as you know, it has a pleasant taste – and cats usually like it, too. It’s always good to use a toothpaste that your cat approves of. Apply a tiny amount of coconut oil to a cat toothbrush and gently scrub it onto your cat’s teeth. Baking soda and water are sometimes recommended as appropriate toothpaste alternative. There’s not much documentation on exactly how well it works, but I wouldn’t recommend it as an alternative to “real” cat toothpaste. Here’s why. Baking soda doesn’t really do anything other than taste bad and gently abrade your cat’s teeth. True cat toothpastes, however, are enzymatic cleaners that actively consume bacteria in the mouth. They’re often formulated with appealing flavors, making the brushing experience positive and encouraging you and your cat to do it religiously. All that being said, it’s okay to use a little baking soda if you’re in a pinch. It’s not toxic to your cat (unless you use it in large quantities) and is better than nothing. 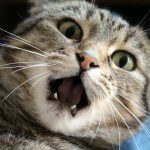 While it’s safe to use diluted hydrogen peroxide (over 75% water) in your cat’s mouth, it can be painful and may irritate the soft tissue in their mouth. While it’s still a popular wound treatment, hydrogen peroxide is widely debated. 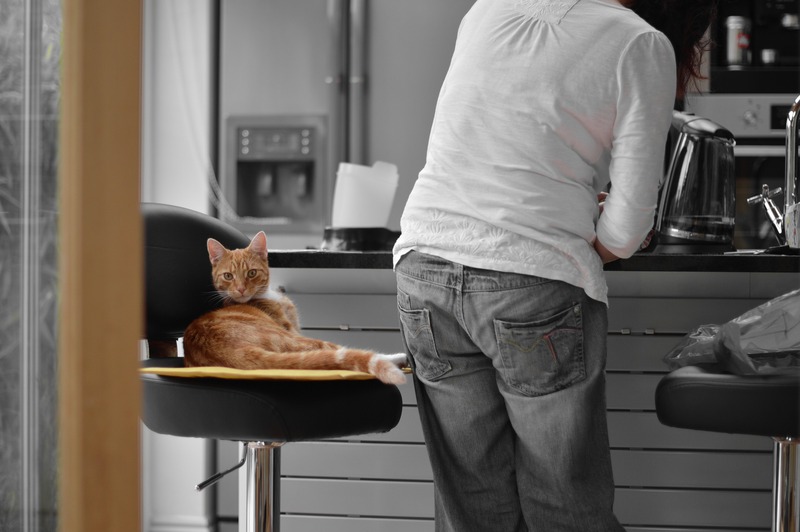 It may damage your cat’s tissues in addition to drawing out bacteria. Particularly if your cat already has gingivitis or bleeding gums, using hydrogen peroxide as a toothpaste alternative will sting. Especially because we always want brushing your cat’s teeth to be a positive experience, I don’t recommend using hydrogen peroxide. Other recipes for homemade cat toothpaste, such as this one, include essential oils such as clove and peppermint. These essential oils are dangerous for cats and are totally unnecessary inclusions in your cat’s toothpaste. Not recommended. Don’t brush your cat’s teeth with human toothpaste. Because cats can’t spit like humans can, toothpaste formulated for people isn’t safe for our feline companions. It’s important to always use a specially-formulated cat toothpaste that isn’t toxic. Obviously, the best cat dental treat is a raw meaty bone like a raw chicken wing or neck or a whole raw mouse. These treats work your cat’s jaws, massage their gums, and help to remove plaque. Enzymatic dental health treats are your second best choice. The oral hygiene chews for cats from Virbac are infused with enzymes that can help to consume bacteria, promoting good dental health. The first ingredient in these treats is freeze-dried meat and they’re nutritionally superior to other treats, including Greenies, which are packed with corn and wheat. They’re about the size of wine corks, so your cat will have to bite into them before inhaling them. You might consid er using dental health water additives. You mix them into your cat’s water bowl and allow the antibacterial agents to effortlessly clean your cat’s mouth. I personally wouldn’t recommend them as your sole dental health agent. These water additives can’t clean off plaque, so they only do half of the job. That said, a lot of people love these water additives. If your cat likes drinking water, one of these products could help to keep your cat’s breath fresh. Some reviewers say that even their water-averse cats started drinking more water after they started adding the dental rinse to their bowl. Let’s take a look at some of the most common ingredients found in cat toothpaste. Also known as alcohol, this ingredient is added as an antibacterial agent. If your cat consumes too much of it, it could depress the central nervous system (make them drunk), which could have seriously negative health effects. However, in the small doses found in cat toothpaste, ethanol should be completely safe for your cat. This enzyme is naturally produced by some species of fungi and insects, who use it to produce hydrogen peroxide. As you know, this is an antibacterial agent. As a consequence, glucose oxidase effectively destroys oral bacteria. This is an enzyme. It is a potent bactericide that actively cleans your cat’s mouth. This might be the most controversial ingredient used in cat toothpaste. It’s present in the most popular formulas, which are made for both dogs and cats. Sorbitol doesn’t clean your cat’s teeth. It’s a sweetener added to the toothpaste to make it taste better, although our current understanding is that cats can’t detect sweet tastes. It also helps to retain moisture. In the small quantities found in cat toothpaste, sorbitol is probably not dangerous. In large amounts, it’s a laxative and could give your cat an upset stomach. It’s safe for cats with diabetes. This ingredient is often found in toothpaste as a polishing agent – it helps to abrade plaque and keep your cat’s teeth fresh. This is a form of silicon dioxide used in toothpaste as a mild abrasive. It’s entirely safe for cats to eat. This ingredient is derived from both plant and animal sources like tallow, soybean, and palm. It is a viscous sugar substitute that sweetens the toothpaste and gives it a smooth texture. This is a concentrated flavor made from hydrolyzed animal tissue. Dextrose is a simple sugar chemically identical to glucose. Cat toothpaste containing this ingredient may not be safe for cats with diabetes – check with your veterinarian before giving it to your cat. This is a thickener made from fermented corn sugar. that’s very common in cat food and other products. In large quantities, it could cause diarrhea. This is a mineral-based whitening agent. It colors the toothpaste, not your cat’s teeth. This is a preservative. It occurs naturally in some fruits, vegetables, and dairy products. Sodium benzoate is synthetically produced by reacting sodium hydroxide with benzoic acid. While this additive is generally considered safe for humans, it may be risky for cats in concentrations over 1%. I haven’t found much information on this ingredient. It’s a potassium salt that’s used as a stabilizer. 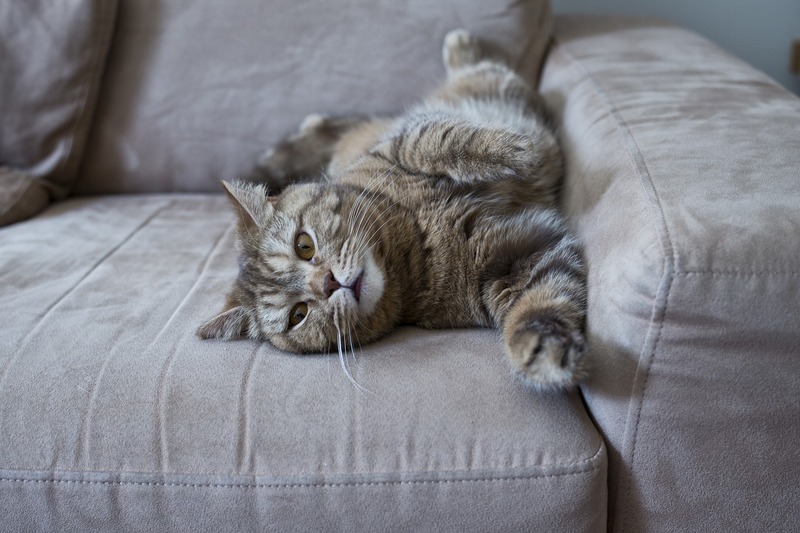 If you can provide more information about the effects of potassium thiocyanate for cats, please contact us. This is the toothpaste that Wessie uses currently. Unlike some other cleaners, it doesn’t have a cat-friendly meat flavor and instead has a mild mint taste similar to human toothpaste. And yes, I did taste it. The ingredient list is much simpler than most other cat toothpaste, foregoing the sweeteners, thickeners, and coloring agents. It contains green tea extract, which is a natural source of fluoride, and it can theoretically clean your cat’s teeth without any brushing. It doesn’t have any abrasive agents, however, so I would definitely recommend using a toothbrush with this product. T his is one of the most popular toothpastes on the market. It has a delicious poultry flavor that Wessie goes nuts over. It’s effective because it contains enzymes and abrasive agents that help to remove bacteria and plaque. However, you might not like the use of dextrose, sucrose, and sodium benzoate in this toothpaste. Wessie and I haven’t tried this toothpaste, but I like the fact that it doesn’t include any sugar or sugar substitutes. It’s a fast-acting enzyma tic cleaner that actively cleans your cat’s teeth. It’s both flavorless and odorless. It does contain parabens, so proceed with caution. T his toothpaste has three different enzymatic cleaners to attack multiple types of bacteria in your cat’s mouth. It contains sorbitol, which isn’t an ideal choice for cats, but not necessarily dangerous in small quantities. It also contains sodium benzoate, another questionable ingredient. Customer reviews indicate that cats love the poultry flavor. This toothpaste is made in the United States. 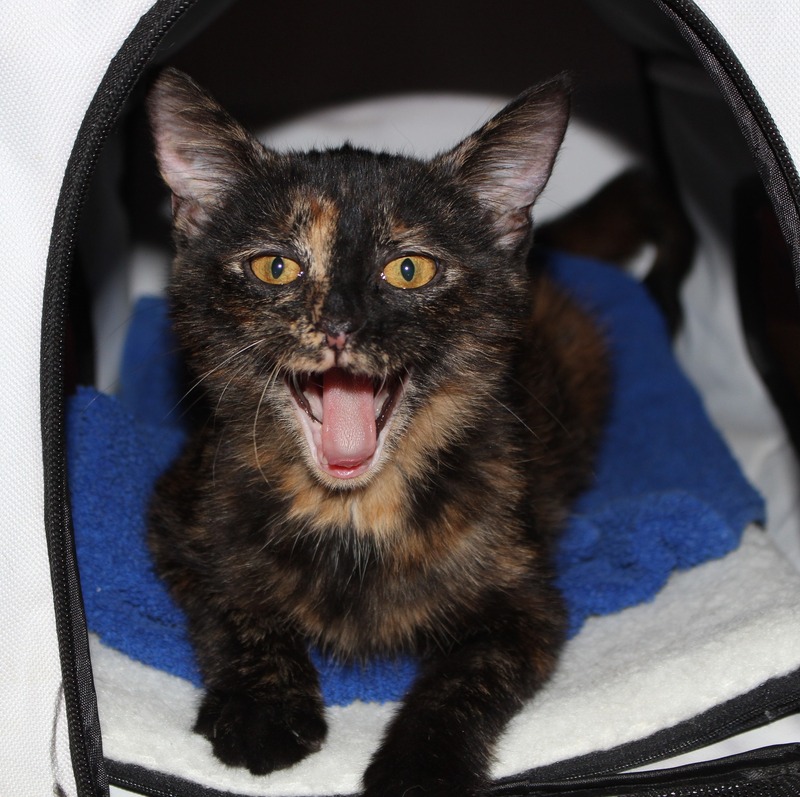 “I have two very active cats and keeping up with their dental health has been a struggle. Normally they aren’t interested in the toothpastes I buy them. They go wild for this! The first time I let them lick a gob off my finger, they went nuts. It must taste good, because they acted like I was giving them a treat. The only downside is that my devious cats dragged the tube to the floor and spent the night puncturing the tube and squeezing out more of their new “treat.” Planning to re-order, but I need to find a better hiding place for the tube. 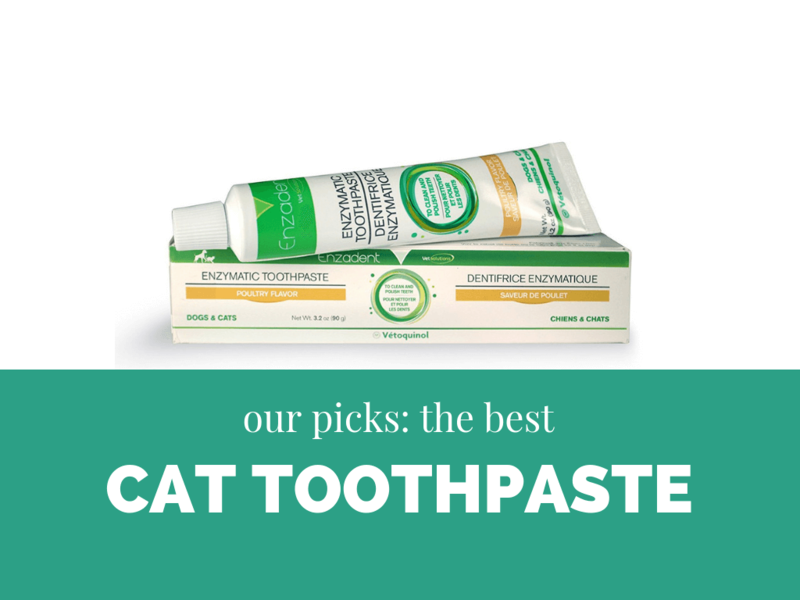 Once you’ve found the best cat toothpaste, it’s time to start brushing. Some people suggest that you get your cat’s teeth checked by a veterinarian before starting a tooth brushing routine. I disagree. It’s better to start immediately and get your cat’s teeth checked out later. Professional dental care is the only way to remove calculus and can help you to understand the extent of any dental disease. But it’s not the first step in your dental care journey. Start brushing your cat’s teeth today, schedule a dental appointment, and re-evaluate your dental hygiene regimen later. There’s no reason why the average person can’t brush their cat’s teeth without the oversight of a veterinarian. If your cat appears to be in severe pain, stop. If they seem fine, keep doing it. Brushing your cat’s teeth is not an arcane art. It’s not dangerous. And it’s not only for experts. It’s okay to be a little daunted by the idea of brushing your cat’s teeth, but you will become accustomed to it soon. If you’re nervous, read up on the best methods for getting started. 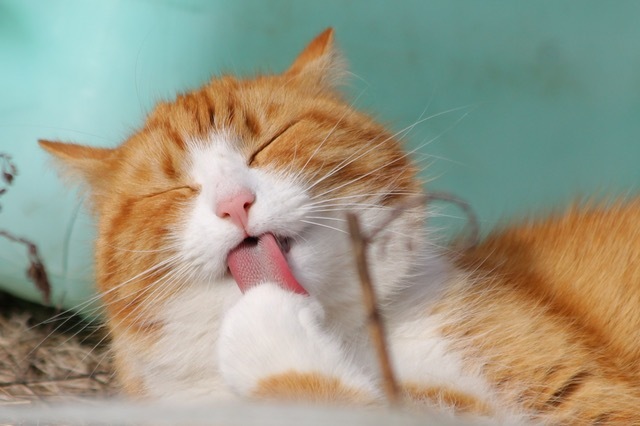 Click here for our guide on how to brush your cat’s teeth.